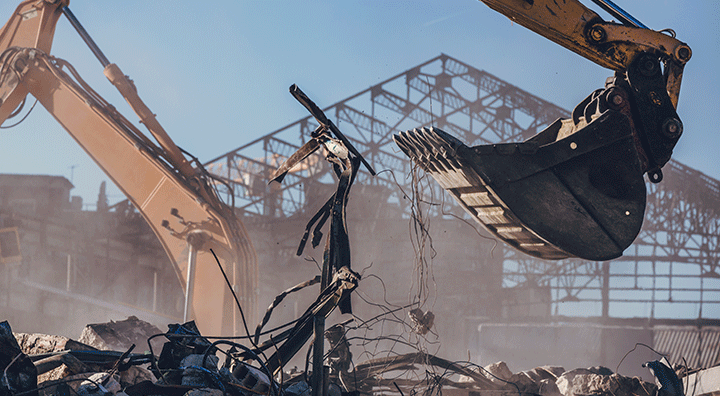 Planning to decommission one of your factories or industrial sites? Our experience ranges from removal of plant equipment and machinery to complex utility infrastructures. Sims can provide project planning, labor, lifting equipment and collection bins. Metal equipment is transported to a Sims metal yard for processing and recycling. Partnering with Sims means your project will be managed with ease even with the most complex projects. Minimum terms and conditions apply. Contact Sims today to discuss your on-site processing needs. Efficient dismantling of metal structures and site removal of scrap metal.